Rajini Makkal Mandram had earlier said it filed for a TV-channel trademark with the registrar of trademarks. 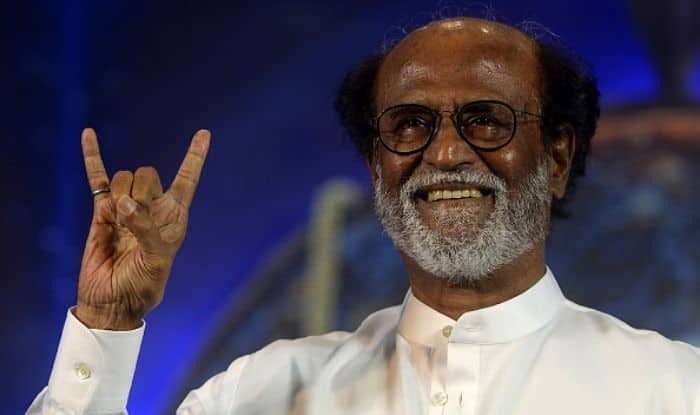 Tamil superstar Rajinikanth said Saturday efforts were underway to register a name with the registrar of trademarks for the launch of a television channel floated by his forum, Rajini Makkal Mandram. Ahead of his visit to the United States, where the actor is slated for a brief stay with his family, Rajinikanth told reporters at the airport that the forum would be registering the name for the television channel. “We came to know that somebody is going to start (a television channel) in that name. Ahead of them, we are going to register that (name),” Rajinikanth said to a query on whether there was a plan to launch a television channel on his name. On his views about his upcoming movie, Petta, Rajinikanth expressed hope that the film would meet the expectations of the fans. The movie, directed by Karthik Subbaraj of Jigarthanda fame, is produced by Kalanithi Maran-backed Sun Pictures. Petta is all set to be released in January, commemorating the Pongal festival. Rajinikanth, who turned 69 on December 12, is riding on the success of the magnum opus 2.0, which had hit the screens last month.